finish your calculation in less than half an hour. find the Uniflow that is right for you by carrying out your own calculations. clear, simple, complete and available when it suits you. Uniflow is the high-performance droplet separation technology which delivers 99.9% dry gas and is suitable for use with any refrigerant. 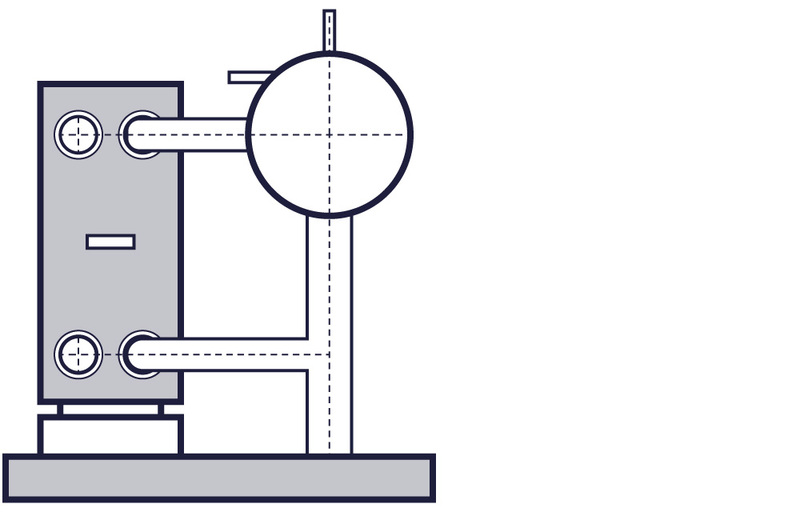 The unique design of the horizontal droplet separator ensures the uniform flow rate of the gas to be dried.  It is that uniform flow which ensures that the gas is properly dry. a droplet is separated when it reaches ‘the bath’. Based on this formula, you would have to extract all the droplets from the gas. However, the maximum achievable result is 98% dry gas – or 2% wet gas. 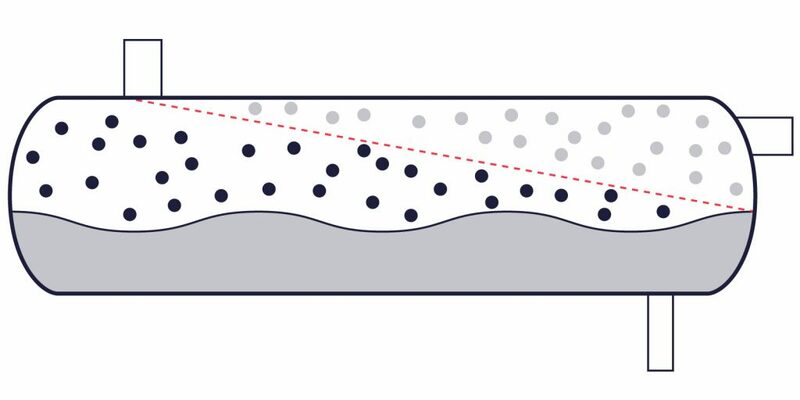 research into conventional droplet separation technology showed Prevesco that in order for droplet separation to be efficient, a uniform gas flow is required. It is also important to know how the return gas is spread across the gas segment. 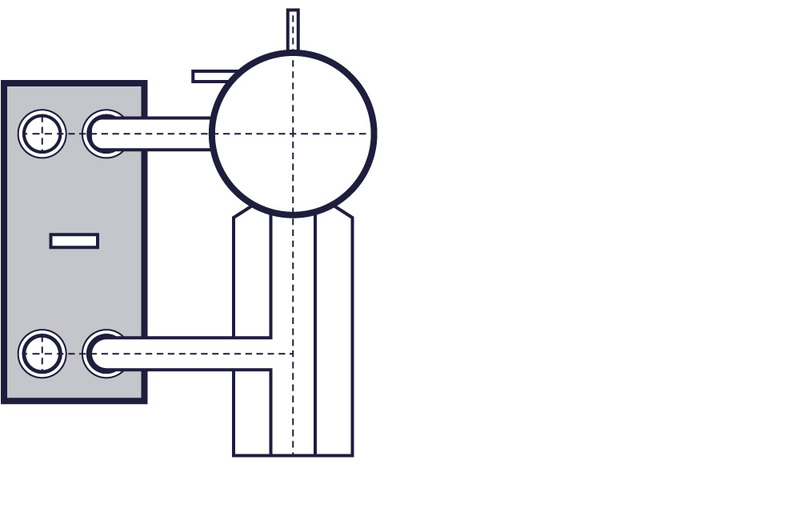 We developed a maintenance-free distribution mechanism which ensures a uniform gas flow. With this, droplet separation is 100 times more efficient than in previous droplet separators, reducing the content of harmful moisture in the compressor significantly and compressing the drier gas more effectively. A double benefit in terms of efficiency. for a long time, separation technology was based on models with uncertainties, averages and assumptions when calculating the moment of separation. Models which were also heavily influenced by design limitations, conditions and the refrigerant used. As a result, the gas was never drier than 98%. The remaining moisture content – equivalent to a rain shower – constantly attacked the system. In order for the system to work safely, an overload of additional safety features had to be built in. Uniflow technology really comes into its own when used in industrial cooling technology. as a result, Uniflow is currently being used in pump systems in particular, with less focus on cooling systems based on direct expansion (DX). 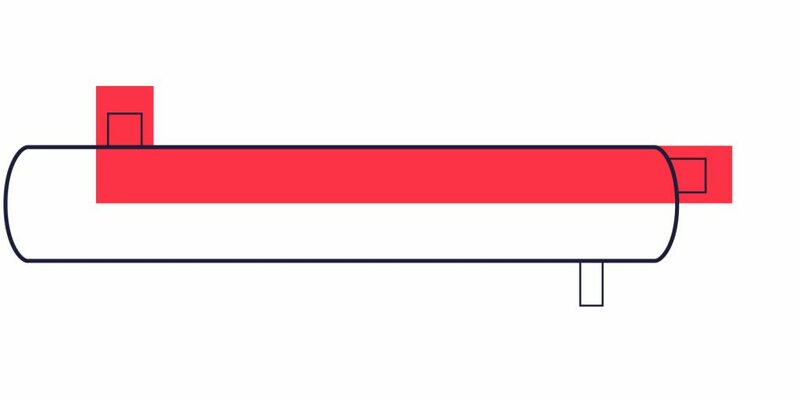 the high level of performance delivered by Uniflow is not dependent on whether a cooling system is sub- or transcritical. 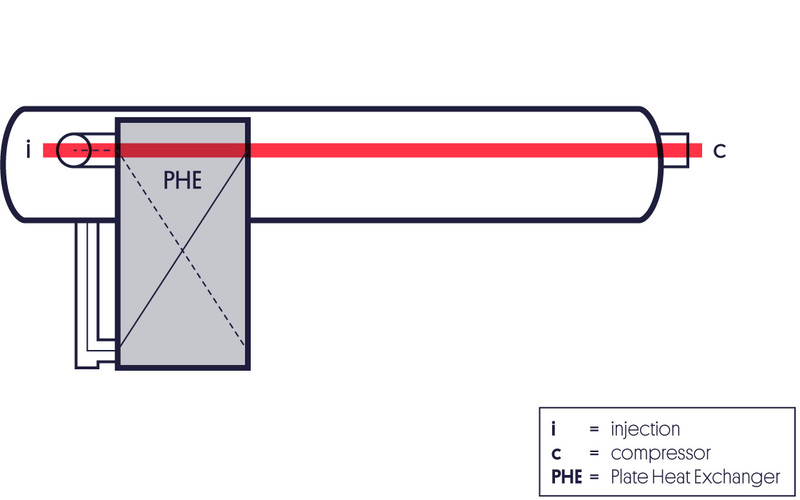 however when choosing the right size Uniflow, temperature is obviously an important factor. 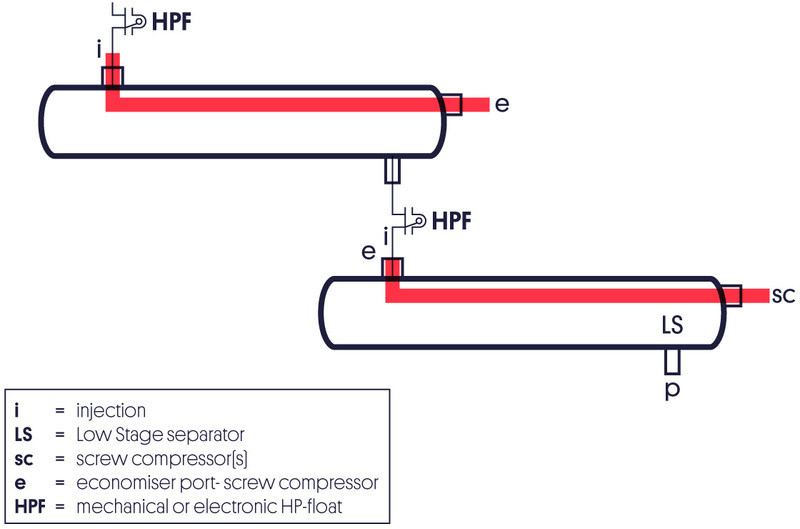 the performance of Uniflow droplet separation is the same regardless of the refrigerant used, making the droplet separator suitable for a range of applications. Uniflow can be used as a pump container, racing vessel, chiller, economizer or intercooler. the simplest use of Uniflow is as an individual droplet separator and accumulator. There is a range of vessels of increasing capacity that can be used for this application. The design is standardized. You can easily calculate the most suitable solution for your system using the calculation tool on this site. Droplet separation with Uniflow delivers 99.99% dry gas – whatever the refrigerant used. 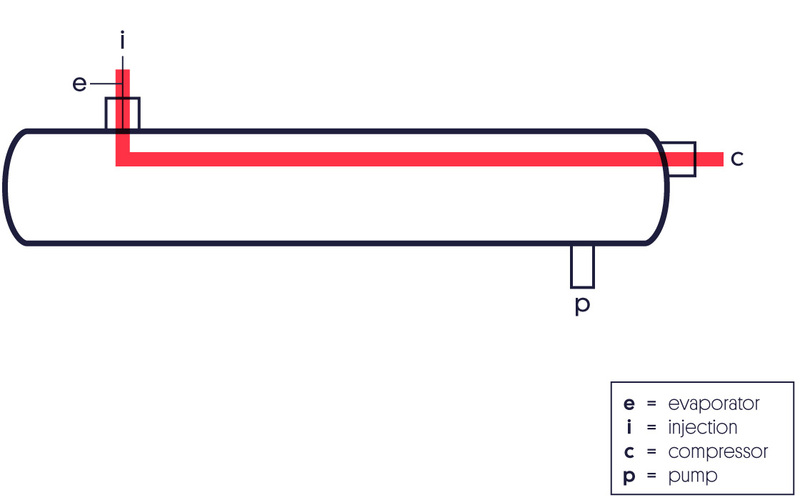 the unique Uniflow technology enables the gas to pass through the droplet separator at a high flow rate, creating a high capacity in a relatively small vessel. separation without a buffer volume makes optimum use of the system. Uniflow can be used effectively as a racing vessel for expanding an existing cooling system or when carrying out a retrofit. 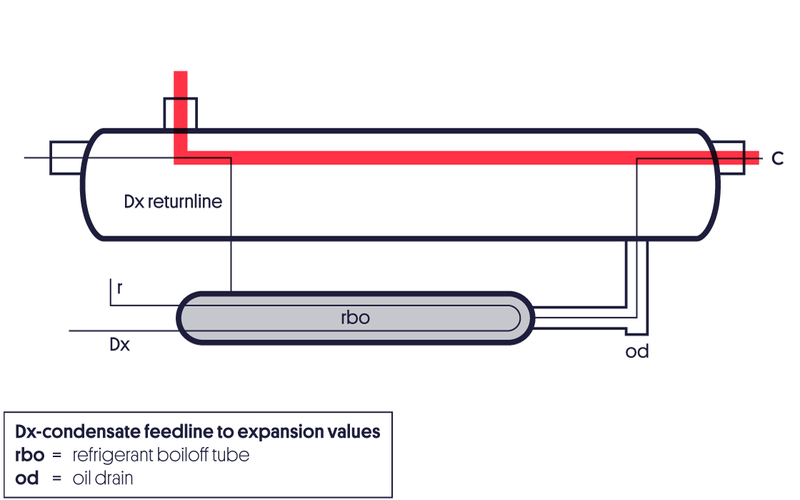 the old separator can serve as a buffer vessel while a small Uniflow can be installed to provide unprecedented efficient droplet separation. Uniflow separation technology can easily be combined with plate heat exchangers to create a chiller. 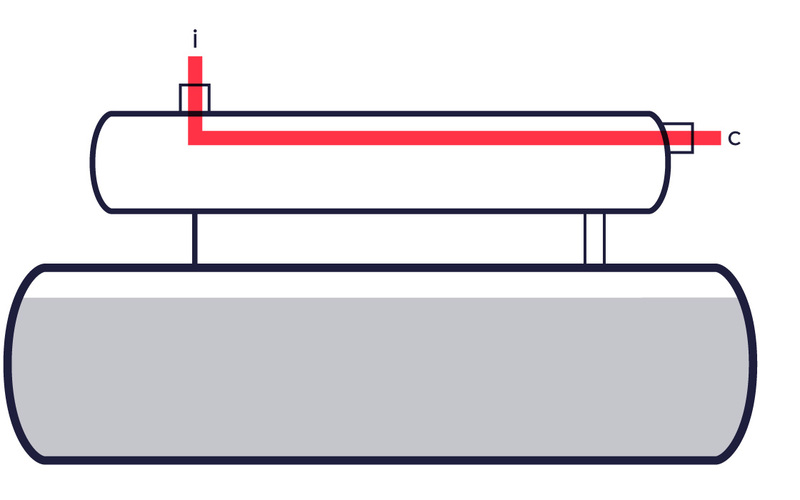 For the Unilaval system, the design of the vessel was adapted to take into account the connection to the heat exchangers. 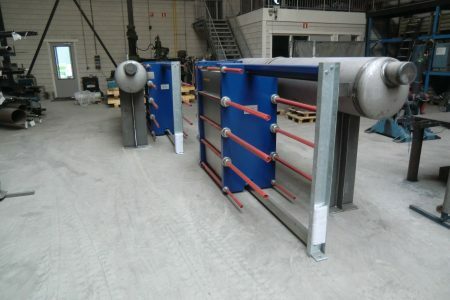 With this, the separator is positioned next to, or possibly between, a number of plate heat exchangers. This combination, which is particularly easy to control, works with an exceptionally low refrigerant charge, has a low overall height and has a much higher partial load COP of approximately 7% because the exchanger is not operating fully charged. Unilaval is available in standard sizes but larger or adapted designs can also be produced. 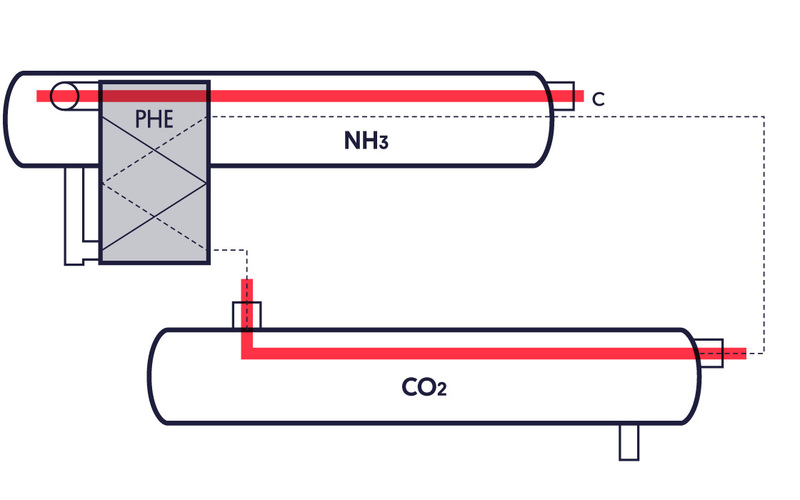 Uniflow can be installed in two places in NH3/CO2 cascade systems so that you can enjoy double the benefit with this highly efficient droplet separation in your cooling system. On the NH3 side, the chiller – such as the Unilaval, for example – delivers optimum performance when Uniflow is installed while on the CO2 side, the system benefits from Uniflow once again in the form of a simple pump container. The calculation tool on this site makes it easy for you to calculate, select and order both options. Uniflow also comes into its own as an economizer. use the efficient technology for expanding the condensate in two stages and for producing real droplet-free flash gas that can be directed to the eco-port of the screw compressor. use the calculation tool to quickly and easily calculate, select and request a quotation for the Uniflow that is right for you. 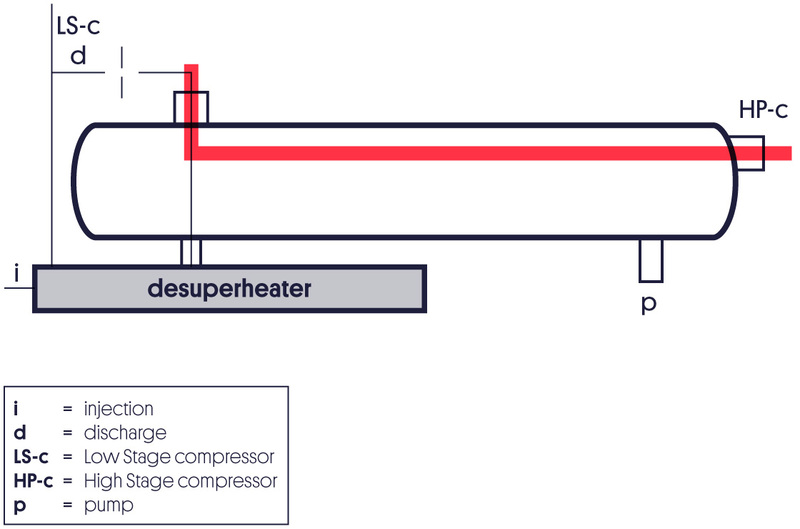 Uniflow can also serve as an open flash intercooler for cooling the compressed gas from the low-pressure compressor almost to saturation temperature and letting the condensate from the condenser expand in a two-stage process. and naturally for supplying the droplet-free vapor to the high-pressure compressor. use the calculation tool to quickly and easily calculate, select and request a quotation for the Uniflow that is right for you. The partnership between Uniflow and Alfa Laval extended to the UK through our British partner Applied Product Solutions Ltd. 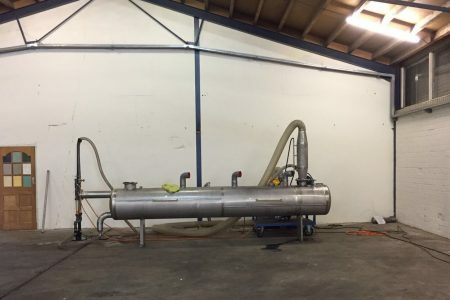 The combination of Uniflow separator and an Alfa Laval PHE is sold by APS Ltd in UK. We manufacture Uniflow and APS assembles the unit. ECR’s standard cooling units always contain Uniflow droplet separation technology. do you want a complete unit rather than having to build one yourself from individual components, but one which contains Uniflow? then ECR units with guaranteed ´Uniflow inside´ are the right choice for you. We are proud to announce we are shortlisted for the RAC cooling industry awards in the UK! We’re up for the Refrigeration innovation – components award with Uniflow on September 26th in London, UK. Incredibly excited for this of course and highly motivated to take home the award! We’ll keep you posted. Op 12 september organiseren wij in samenwerking met Bitzer Benelux BVBA en GTEX het NH3 event in Tilburg. Ben jij engineer, werkvoorbereider, projectleider, service engineer of stel je systemen in bedrijf? Vorige week waren ECR-Nederland BV & Alfa Laval op bezoek voor een demonstratie van Uniflow techniek. Bort de Graaf Koel- & Klimaattechniek & MB Koeltechniek. Op 17 mei hadden we weer een succesvolle demodag. We demonstreerden met ons prototype Uniflow techniek aan ‘t Lam Koeltechniek, RBK Group & Uniechemie. Op donderdag 7 & 21 juni zijn de volgende demodagen. Uniflow Talks: Demodagen 17 & 24 mei. Benieuwd naar wat er anders is aan Uniflow techniek? Kom naar onze demodag; we bespreken theorie en gebruiken ons prototype om te demonstreren. Mail voor details naar info@uniflow.nl. Uniflow -Talks; Ambition and potency. Our owner @Anouk Dijkstra was interviewd for a Dutch trade journal (RCC K&L) on our Uniflow droplet separation technique and her ambition with this technique. She shared her view on the potency of our modernized businessmodel and market approach. From 6th to 9th of februari we will be present at the ‘NVKL plein’. We were pleased to demonstrate UniFlow droplet separation technique to teammembers of IBK B.V. and ECR (beijerref group). During these events we use our prototype to demonstrate the performance of UniFlow and add theoretical explination. UniFlow Talks: launch of new collaboration. Last wednesday we launched the extended collaboration of our Chiller concept. ECR (Beijerref Group) is joining our partnership with Alfa Laval Benelux and will be able to provide the unit. J. Dijkstra, manufacturer of individual items and customized pressure vessels, purchases Prevesco BV from GEA Grasso. construction of a new business premises in Waalwijk, The Netherlands. prevesco initiates the development of Uniflow droplet separation technology. together with product developer Titus Bartholomeus of Thermass Innovations BV, Dijkstra embarks on theoretical research into horizontal droplet separation. construction and testing of the first Uniflow prototype. With the amazing result – even for Prevesco – of 99.99% dry gas. time to urgently develop this concept further in order to standardize the design and the online calculation tool. launch of Uniflow on the Dutch industrial cooling technology market in February. first product performance demonstrations at Prevesco in Waalwijk, The Netherlands using the prototype. 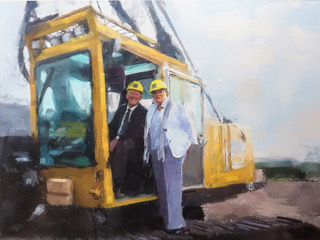 anouk Dijkstra joins the company with the intention of taking over the company from her father. Alfa Laval Benelux is keen to become involved with the Uniflow concept. Alfa Laval wants to combine Uniflow with its heat exchanger. prevesco designs a second standardized version of Uniflow: UniLaval. the first order comes in. IBK Airconditioning en Koudetechniek places an order on behalf of Heineken for two Uniflow separators for use in a plant in Myanmar. in practice, Uniflow proves to work just as well as the prototype. sales of Uniflow is growing. Anouk Dijkstra is appointed as director. 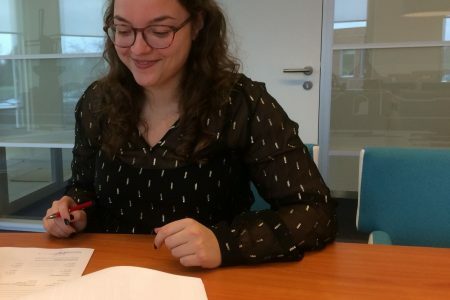 anouk Dijkstra becomes the new owner. series production is now carried out at locations close to the sales markets in Asia and Europe. the production facility in Waalwijk is disposed of and the head office is moved to Amsterdam. prevesco BV celebrates its 15-year anniversary as a family company. advanced droplet analysis enables Uniflow to be developed further. the first spin-off of the Uniflow droplet separation technology is created. the sales market is expanded to include France, Germany, the United Kingdom and the United States. Call us for an appointment, our office is in Amsterdam, The Netherlands.